A quarter of 2018 gone, how did that happen? 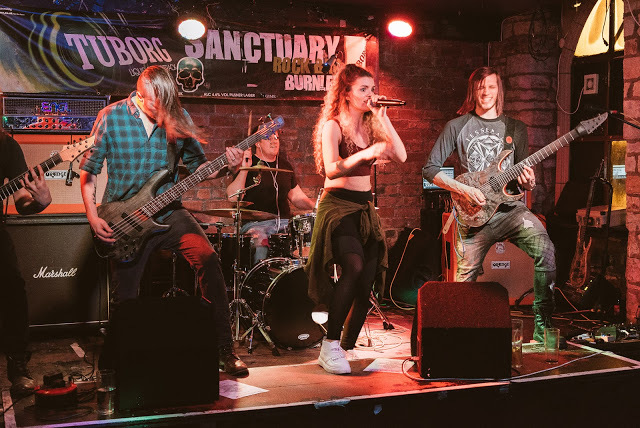 We're writing to you over the glorious Easter bank holiday weekend - we hope you're all having an awesome time and enjoying a nice break 😊It's a weekend off gigging for us too; but we've been SO busy behind the scenes, preparing for our upcoming UK/EU tour 😀😍😀😍 A lot more goes into tour planning than you might think - we're lucky to have the support of the brilliant Anchor Agency helping us with the European dates. Definitely go check out the bands on their roster; and if you're in a band looking to head overseas, drop them a line! 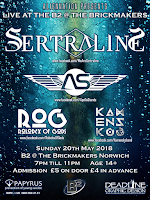 We've also been sorting our transport, any accommodation not already provided by the venues, writing new tunes and.....we've just ordered some new merch! More on that next month. 😈 Meanwhile, check out the dates on the posters below. Don't forget we're playing 3 UK shows too - come party with us! 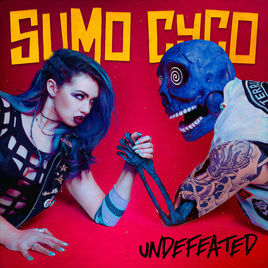 Sumo Cyco's new single 'Undefeated' came out last month and it's an absolute banger. 10 seconds in and you're hit with Skye's gritty scream of "This is an abduction! ", which I'm sure the audience will love joining in with live! Maybe I'm biased, being a vocalist myself, but the vocals are definitely the star of the show on this track. My favourite section is the groove laden pre-chorus and the repeated chant "No one is safe, no one is safe" - it's so goddamn catchy! This leads perfectly into the equally catch chorus, which I have found myself humming in the shower 😝. What I love about Sumo Cyco's studio recordings is that they really capture the energy of the band, something that's quite hard to do when you don't have a visual! I think they're very underrated in the UK, but their latest UK tour looked like a massive success so hopefully they will return here for bigger shows soon!